Now after some days, I need the original size of these images for copy these in my paper. I want to extract the main matrix of these three image for save these again with imwrite function. I searched this problem on the internet but the people says I have to use getframe and frame2im functions. But how? I want the original matrix. 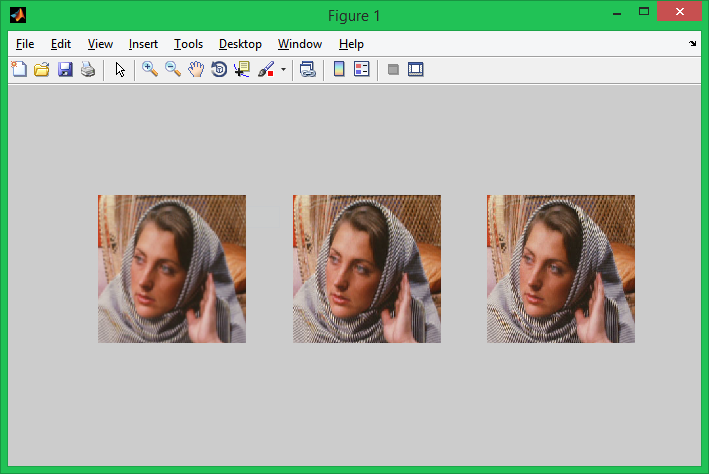 Can anyone tell me how to extract the main matrix from the figured image in matlab?? The image matrices should now be stored in the separate cells of images.